Did prehistoric people use the backcountry areas now managed as wilderness by the Lewis and Clark, Lolo, Helena, and Flathead NFs? Or, was this area a true wilderness, untrammeled and unaffected by past inhabitants? These questions, and several others, have been in the minds of forest archaeologists for years. 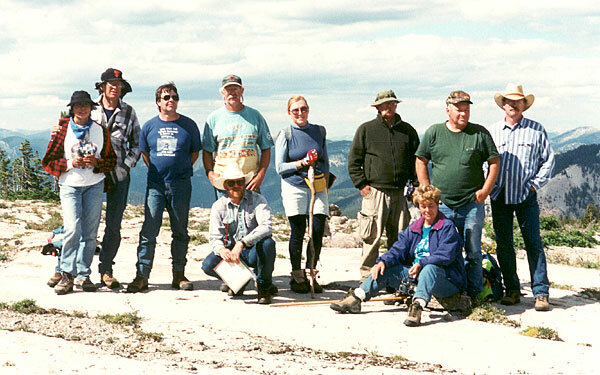 For seven days in August 1997, eight PIT volunteers from around the United States worked with FS archaeologists to gather information relating to past use of the Scapegoat Wilderness. These volunteers were obviously dedicated, because the first day of the project involved a 15-mile hike to a rendezvous point, and the second day, a 5-mile hike and establishment of the project base camp. Luckily, the volunteers only carried light personal gear. The remainder was carried by a packstring supplied by the Rocky Mountain Ranger District. During the week the volunteers were split into two survey groups with the mission of scouring the country for evidence of past human activity. In general, this was an arduous task that required the participants to walk side by side across rough, uneven terrain. The hard effort was worth it, however, as they found four prehistoric artifact scatters. Two of these scatters yielded projectile points from the Paleoindian period that provide evidence of a human presence in the Scapegoat Wilderness 9,000–10,000 years ago! Other previously identified sites indicate that prehistoric peoples were camping in the Scapegoat continuously from 10,000 years ago to approximately 1,000 years ago. Dr. Leslie B. Davis of the Museum of the Rockies got wind of the 1997 Scapegoat results and expressed his interest in the project to the FS. In August 1998, the forest archaeologist guided Dr. Davis to the sites discovered by the PIT volunteers, and a new partnership was born. 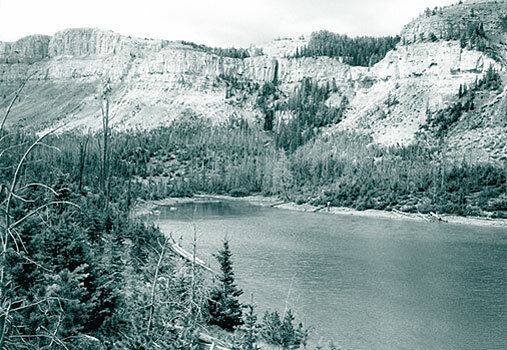 In August 1998, participants in a joint research project between the Lewis and Clark NF and the Museum of the Rockies conducted limited site testing at some of the Scapegoat sites. Results will hopefully yield information on past environments and people’s use of this isolated, rugged area. This continued research would not have happened without the early involvement of our enthusiastic and dedicated PIT volunteers!